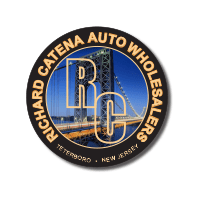 Why Buy a Used Vehicle at Richard Catena Auto Wholesalers? Are you looking for special low prices on a wide selection of used vehicles in the greater Teterboro, NJ area? Here at Richard Catena Auto Wholesalers, we offer one of the largest assortments of used vehicles in the area, and with our everyday low prices, we don’t need special prices and sales events to help everyone get into the vehicle of their dreams at a price they can afford. Whether you’re looking for a used car, truck, SUV, or luxury vehicle, we offer a terrific variety of vehicles from automakers all over the world, making it easy for everyone to find a vehicle that’s right for them. Why buy a used vehicle here at Richard Catena Auto Wholesalers? Not only do we offer everyday low prices and customizable financing options on all of our used vehicles, but with such a large assortment of makes, models and styles to choose from, we’re confident that we have a used vehicle here to fit everyone’s needs. If you’re looking for a used luxury vehicle in New Jersey, we have the selection you’re looking for. We offer a wide variety of luxury vehicles from automakers like Mercedes-Benz, BMW, Lexus, Land Rover and many more, making it easy for everyone to find the vehicle of their dreams. The best way to figure out which vehicle is going to be the best fit for you is to join us here at Richard Catena Auto Wholesalers to view our entire selection of used vehicles in person. Once you take your desired vehicle out for a test drive and work out the customizable financing option to fit your budget best, we’ll have you driving home in your dream vehicle in no time! We are located right in Teterboro, NJ and proudly serve the nearby areas of Newark, North Bergen, NJ; Hackensack, and Passaic. 0 comment(s) so far on Why Buy a Used Vehicle Here at Richard Catena Auto Wholesalers?